As a homeowner, there are few things that strike fear into your heart more than the thought of a fire starting and causing damage or injury. You can put all the preventive measures in place you can think of and still have to face this horrible ordeal. If the unthinkable happens, and your home does experience a fire, it’s comforting to at least know there are fire restoration experts who can help salvage your home and some possessions. Fire rebuild specialists have the skills and techniques to help in even the most dire situations. A professional company will use a thorough process to ensure you can get back into your home as soon as possible. The team won’t waste any time meticulously reviewing the scene to see how extensive the damage to your West Glenn Estates, AZ, home is. Once the crew performs this inspection, it will lay out a rebuilding services plan and timeline. The technicians will start by boarding up and tarping walls, windows and your roof to make your home more secure and to ward off other damage from the elements. The team will then extract and dry water from places where firefighters may have used their hoses to douse the fire. You’ll notice after a fire, smoke damage can be just as devastating as the fire itself. A professional team will carefully but effectively get rid of this damage as well as soot and other materials from your walls, flooring, electronics and furniture. A fire restoration crew will do all it can to save every portion of your home. When this isn’t possible, the team will rebuild those parts the fire destroyed and make your home as close to perfect as possible. No one wants to suffer through the tragedy of a fire. Fortunately, fire restoration is possible when you get the right team on the job. 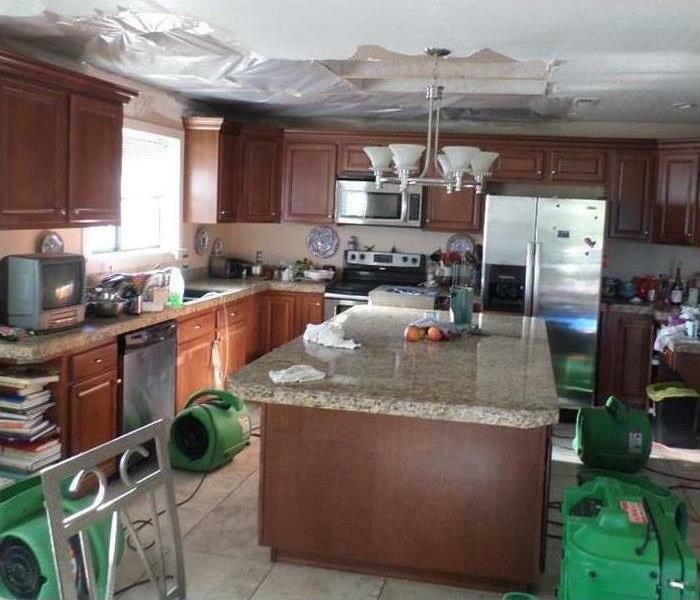 Water damage can be a major expense for homeowners in Grand Manor, AZ. Preventative measures are much more affordable and are possible for most major water in home risks. Here are three of the best ways to prevent water damage. Homeowners should be aware of the age and condition of pipes as well as the plumbing material. All of these factors may increase the risk of broken pipe. A homeowner can perform informal inspections to look for any signs of corrosion or leaks and identify places where pipes are exposed and may be prone to freeze. A plumber can provide professional insight into potential risks. From the air conditioner to the dishwasher and washing machine, any appliance leak or malfunction can lead to standing water in home. Homeowners should look for any signs of built up condensation or problems with the water supply. Scheduling regular inspections with appliance specialists can be an easy way to stop potential problems before they start. Roof damage and leaks are some of the most common causes of water damage. These leaks may be difficult to detect until extensive damage has already occurred. It is a good idea to regularly inspect the condition of a roof and contact roofing professionals if a roof sustains damage from high winds or storms. These measures may not prevent every cause of water damage, but regular home inspections and maintenance can protect against some of the most common risks. Furthermore, homeowners insurance may be more likely to cover the cause of damage as well as the costs of cleaning up water in home if a policyholder maintains records of regular maintenance. 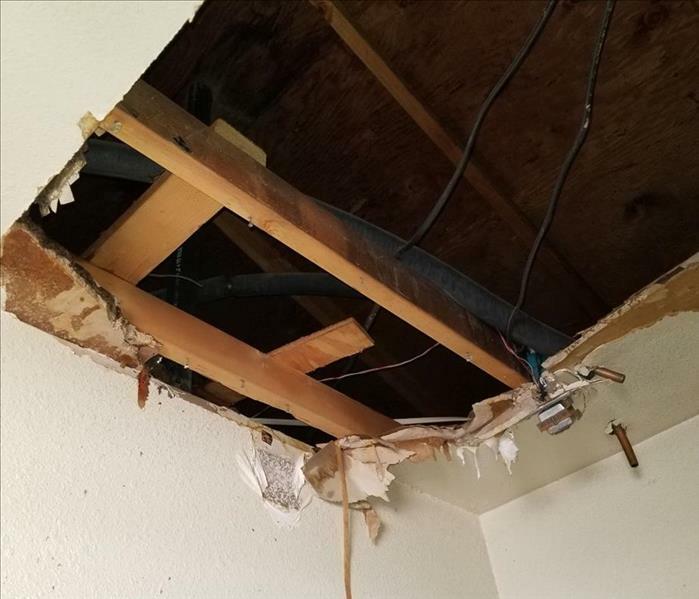 Homeowners should contact a water damage restoration company if pipe cleanup or other damage mitigation is necessary at a residence in Grand Manor, AZ. When you need mold remediation in Peoria, AZ, you want to make sure you choose professionals who do the job correctly. Insurance companies will often recommend certified mold specialists for cleanup because certification comes with a specific expectation of the quality of work that will be done. Those who have been certified by the IICRC have exemplary standards of not only customer service but also remediation. Certified mold mitigation ensures great service before the technicians ever show up on your doorstep, and it doesn't end even after the remediation work is complete. You can still count on the company for excellent record-keeping that can help you and your insurance adjuster when your claim is being processed. When you hire a certified mold remediation company, you can see an attention to detail in the work its technician do. They follow the correct procedure for mold cleanup, starting with safety precautions and ending with aesthetic restoration of the space in your home that was affected. They likely use state-of-the-art equipment to improve quality and efficiency. It's also likely that they have completed continuing education courses so that their methods match the current best practices of the remediation field. The certification acts as a confirmation that the work will meet the industry's standard of excellence. Certified mold specialists are trained well and held to a high standard, not just for the work they do but also for how they relate to the customer. If you need mold remediation, ask your insurance agent which certified experts in Peoria, AZ, he or she recommends. Water damage due to broken pipes is common. As winter comes in full force, burst pipes will become a reality for some homeowners. To wake up in the morning to a flood of water is a nightmare, to say the least. No matter how big or small the flood is, keep in mind that a little water can do a lot of damage in a short amount of time. If you’re unlucky enough to be hit with water damage from a broken pipe, don’t fret, these three tips will help you through it. As with any emergency situation, the key is to stay calm. Stress can make it difficult to make informed decisions or recognize the reality of the damages caused by the flood. First, look for the most visible signs of water damage on walls, rugs and furniture. If anything is saturated, bring in a restoration specialist to ease your mind and start damage control. To dry out your home and protect against further water damage, you should air out your residence entirely. Open the windows and run a fan to get the air flowing through your residence. Additionally, you may use a dehumidifier to push the process forward. After the water cleanup, mold and mildew have to be eradicated. Detergents and bleach may be appropriate for the cleanup. You can scrub nonporous furniture and objects free of mold. However, for nonporous contents, they may need to be tossed out. Water damage due to broken pipes is common. When it happens, however, you don’t have to go into a panic over what to do next. It’s important to stay calm to be able to appropriately assess all the damage done to your Peoria, AZ home. Once the damage has been fully gauged, you can begin the process to dry everything and address mold and mildew. Water damage presents an interesting problem because there are different levels of severity not only to the damage inflicted but also the type of water that caused the problem. There are three basic water types and four levels of classifications to those types. The kind of water can drastically reduce or increase the costs of restoration and the claim filed. For that reason, pretesting is essential to the water mitigation process as it provides an appropriate category and classification. White water, or category one, is the least concerning. This water comes from a clean source and poses no real threat to your health. 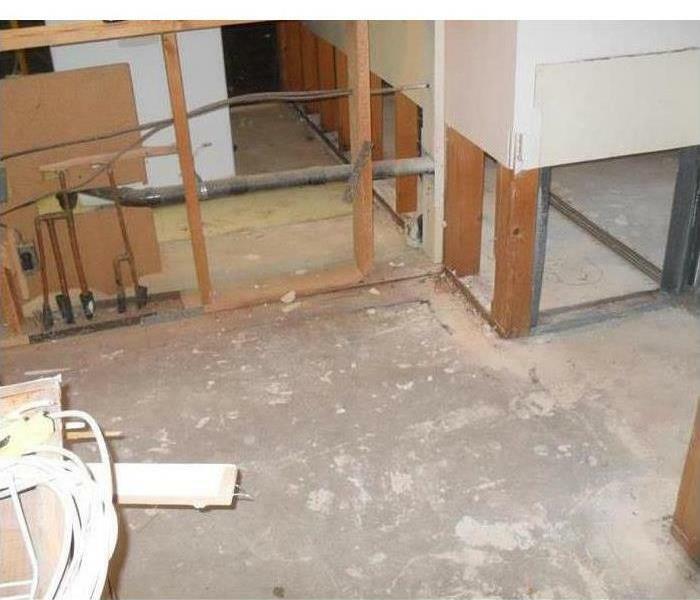 This level of water damage is the least costly type of insurance claim. However, it is important to note that failure to act fast may result in the water becoming contaminated by other sources or items, thereby escalating classification and possibly category. If pretesting concludes that the water is gray, or category two, that means there is significant contamination. There are elements of both chemical and biological matter found in this category, meaning that the water has the potential to make you ill if touched or consumed. An insurance agent and company will likely instruct you to hire a disaster restoration specialist in the Weedville, AZ, area to remove and repair black, or category three, water. This water is considered dangerous and may even be toxic. The health risks are escalated, and the area likely sealed off until removal and mitigation are finished. 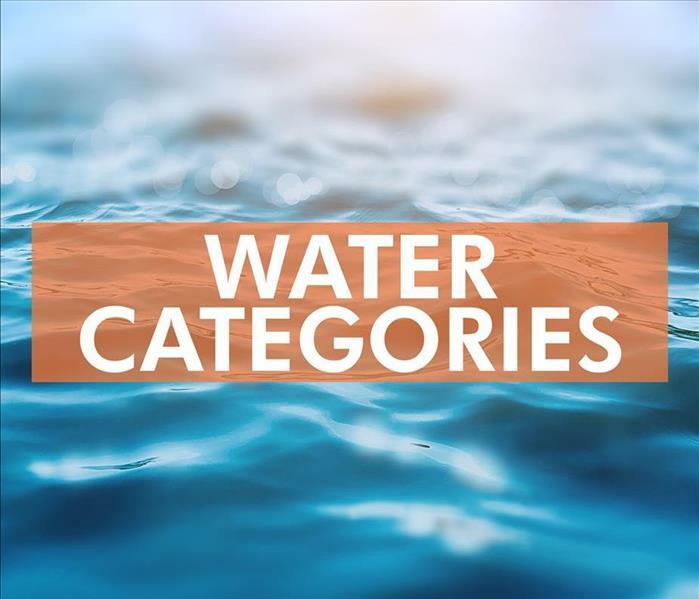 Water categorization and classification is an interesting and necessary process, especially in regards to insurance claims. Without having an accurate understanding of the level of contamination, it can be challenging to make an appropriate claim. Pretesting helps identify the category and level of damage to your home. This early identification means that the claim you make to your insurer is accurate, accounting for the level of loss and restoration that is expected. SERVPRO of Peoria / West Glendale assisted in mold removal of customers home. Mold damage cleanup or remediation requires great expertise. Whatever your mold mitigation needs may be, a reliable restoration company can take care of it all. Professionals have the proper equipment and supplies to address the mold problems effectively. A qualified restoration company has a good understanding of the science behind mold growth or black mold. Mitigation technicians have the training and expertise to perform mold removal, fungus and mildew cleanup and deodorization to eliminate smelly odor. They can remediate mold in home, commercial mold damage, mold growth behind wall and even dry rot. Mold cleanup focuses on getting mold or black mold levels back to natural levels. Whether you are dealing with a black mold or dry rot problem, a mold damage restoration company can clean up the affected area and apply the necessary deodorization to eliminate smelly odor and freshen up the environment. Visit http://www.SERVPROpeoriawestglendale.com for more information on mold. When mold, fungus, or mildew takes hold in your home or business and spreads it can bring with it dire consequences. Left unchecked, mold growth can cause severe structural damage. Commercial mold damage can have devastating financial effects. Mold in the home may disrupt family life and cause substantial inconvenience. If mold growth is suspected, experts in remediation should be contacted as soon as possible for consultation. The processes involved in mold removal are varying and may differ based upon the setting and the extent of the damage caused. This mold damage can range from the presence of the smelly odor associated with fungus all the way to dry rot or other structural deterioration. Only a professional restoration company should judge the extent of the mold damage and suggest mitigation methods. Fungus, mildew, and mold damage are often the results of flooding or the presence of standing water. Mitigation of mold in the home may involve different techniques than remediation of commercial mold damage, however, removal of the moisture that is the cause of mold growth is always the first step. A restoration company will suggest and/or implement removal of water as soon as possible after a loss to lessen mold growth. It will also be suggested that heaters or air conditioners be turned off to lessen the spread of mold in the home or business. Leaky plumbing and poor ventilation of humidity can also lead to black mold, a common mold in the home and source of commercial mold damage. Once the moisture that causes fungus and mildew is removed, the remediation and mitigation process can begin. A thorough inspection of the property will be completed by the restoration company to detect any instances of black mold, fungus or mildew growth. Not all instances of mold growth and/or mold damage will be as obvious as visible, mildew or black mold. The presence of a smelly odor may indicate mold growth behind walls. 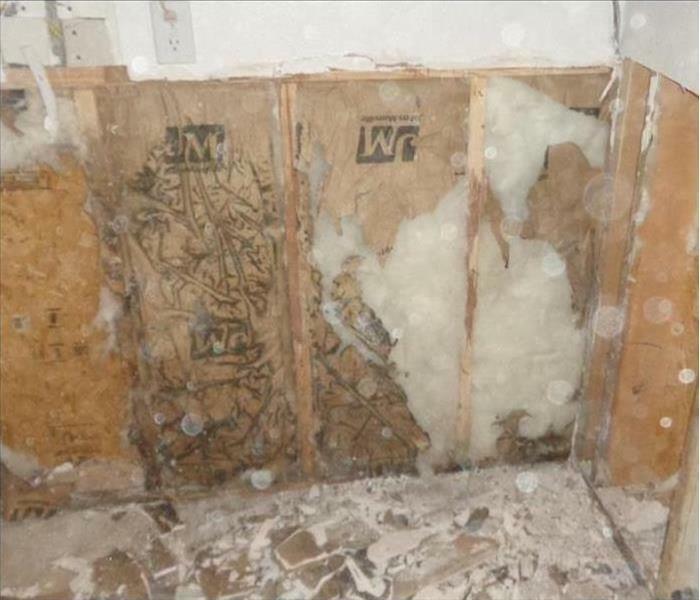 Instances of fungus growth undetected for too long, such as mold growth behind walls, may result in dry rot which will need to be removed and the affected wood replaced or repaired. Deodorization methods will be discussed and implemented based upon the extent of the damage found. Mold removal and remediation is a process that can take several days. The removal of standing water and excess moisture itself can take many hours, depending upon severity. Experts in mold removal, dressed in proper safety gear, will begin a cleanup process involving the use of chemicals to remediate mold. Less severe cases, like surface black mold, may only require light to moderate cleaning to address the smelly odor and unsightliness. However, more extensive commercial mold damage or damage caused by mold in the home may require the use of fogging machines that mist the air with chemicals for mitigation and deodorization purposes. Opening affected areas up to circulate fresh air or the operation of dehumidifiers may be used as a drying and deodorization method based upon the location and severity of the growth. If mold growth behind walls or dry rot is discovered, demolition will be undertaken to remove any affected materials. In severe cases where mold growth behind walls has lead to dry rot in load bearing studs or beams, the restoration company may work along side construction contractors to ensure that the structural integrity of the building is maintained during these procedures. alike should be aware of the tell tale signs of mold damage including visible molds, and fungi, as well as the smelly odor associated with them. Vigilance against standing water and/or excessive moisture or humidity should be taken. When caught early, mold mitigation may require little more than cleaning and deodorization. Left go for too long, mold can do extensive damage. If you suspect mold, contact a mold removal professional immediately. Does Commercial Insurance Cover Storms? Commercial property insurance policies cover many types of storm damage. Owners of buildings in locations prone to hurricanes or flooding may want to consider an additional storm insurance policy or rider on an existing policy. Find out more about covered perils and which exclusions or limits to look out for in a policy. Be sure to document damage before tarping over or taking other mitigation measures. Insurers are more likely to cover a claim if the owner can prove a roof was in good condition prior to a storm. Supplementary flood or storm insurance policies or endorsements will be necessary to cover damage caused by accumulating rain. Heavy rain can also cause municipal sewer mains to back up into buildings. Additional sewer coverage may also be necessary. Hurricane damage is cut out of many commercial property policies or may be subject to special insurance coverage requirements such as percentage deductibles based on property value. Property owners may want to seek additional coverage. Most policies cover damage caused by tornadoes, but policyholders should purchase a sufficient amount of coverage to compensate for a total loss. Many types of storm damage should be covered by a commercial property policy for a building in Grand Manor, AZ. Flooding, hurricanes and sewer backups may require additional storm insurance to offset the costs of commercial mitigation and restoration. Is Professional Fire Damage Restoration Necessary? Stored clothes and other items from a fire. After a fire in a home or a fire in a business, it can be difficult to figure out how to move forward. Luckily, professional restoration companies exist that make the transition easier. Some property owners believe they can handle the multistep process of restoring a home or business that has undergone significant fire damage, but it is rarely so simple. Using a restoration company simplifies the process in several important ways and gives individuals who are already experiencing a serious trauma some peace of mind. A restoration company is able to work with the fire department and other local authorities in the aftermath of the fire. A fire in a home or a fire in a business is about more than physical property damage. The fire's cause is usually investigated seriously to prevent further fire damage or the spread of commercial fire damage by the local authorities. A professional restoration company is able to manage these investigations through experience and expertise. Visit http://www.SERVPROpeoriawestglendale.com for more information on fire damage. 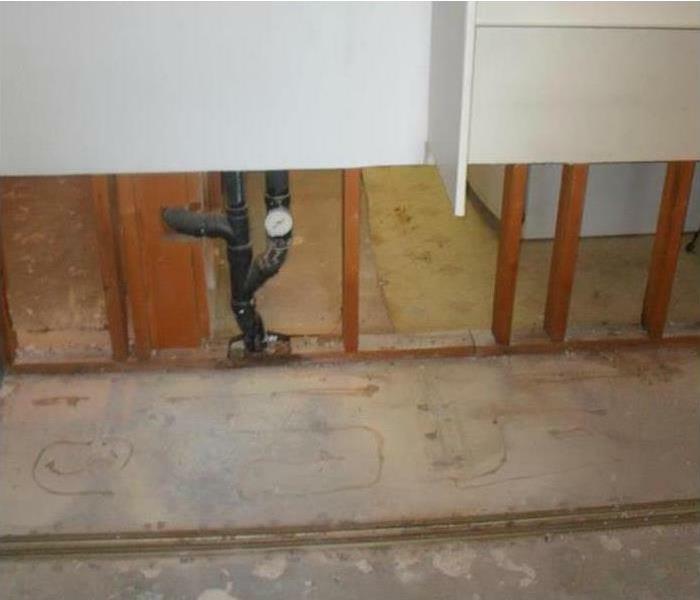 You never expected that you would need storm remediation. Storm damage happened to someone else, not you. Ice damage, hail damage, and wind damage always passed you by. You managed to escape winter storms and hurricane damage in the past. This time you weren't lucky. The storm damage struck and now you are left with the wreckage. River flooding and flooding can cause ground water or flood water to invade, filling your home with water at alarming levels. 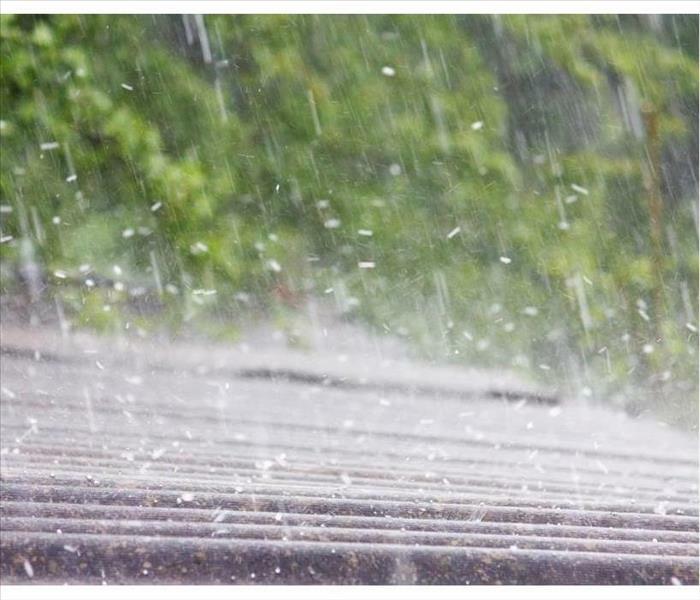 You're bound to need water restoration and roof repair services for roof damage caused by wind damage or hail damage. Don't try to handle any type of storm renovation services on your own. When you require home restoration and storm restoration services, you have professionals who are ready to handle any challenges coming your way. Visit http://www.SERVPROpeoriawestglendale.com for more information on storm damage. 2/13/2019 - Does Commercial Insurance Cover Storms? 2/6/2019 - Is Professional Fire Damage Restoration Necessary?